My question is in regards to lie angle. I was recently fitted twice. Once off the grass and the other off the mats. Each fitter gave me a completely different recommendation though. The first said I was two degree's upright and the second said I was two degrees flat. A lie board was not used either time. They said they look at the swing and the general shape of the shot to fit for upright/flat. I'm a fan of getting fit on turf. 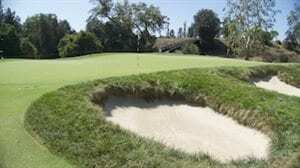 Besides not carrying a mat on course, a mat will hide any multitude of faults. A lie board mimics a divot pattern. If the divot is deeper on the toe end, or vice-versa, you either need flat or upright so the entire sole make even contact. A toe hang will tend to help generate a fade, a heel hang will tend to contribute to a draw/pull. The toe hang will tend to leave the face more open, etc. A mat would tend to minimize that effect, so I don't know how shot pattern is impacted and why one wouldn't use an impact board. Not being a fitter, I can't say the mat guy was wrong, but my instinct is to doubt it. Most fitters I know use a lie board. I find it hard to determine "dynamic" lie by looking at the club at address and during the swing. I always use a lie board and tape. Part of the difference could also be your swing was different on the two different days, but I bet it was just a difference in the judgment of the two different fitters. I'm no expert, but I believe a swing can change day to day. The more you play and practice, the more consistent it becomes. Secondly, was he/she a certified Titleist fitter? Lastly, you're the guy swinging. How do you feel, swinging more upright, did it feel different, uncomfortable? You can make your own lie board if in doubt. Just get a small 8" x 12" soft 1/8" piece of plywood, put a piece of masking tape/blue tape on a 6 or 7 iron and take a decent normal swing. It should leave a mark on the bottom to give you some idea of your swing. I have been for 4 fittings at Manchester Lane over the past 25yrs. The first 3 showed I was 2' upright. The last fitting (Fall 2017) showed I was now std lie. I contribute that to new right hip. All four fittings showed same length and flex. The first 2 fittings used a lie board. The last 2 just scopes and meters. Titleist is very consistent with their fittings. What ever is the best and latest tech that is available is what they use. 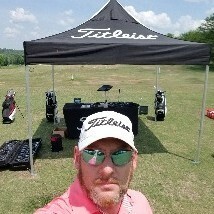 Go get a official Titleist fitting, by Titleist you wont go wrong. WOW, I have never seen a fitter not use a lie board to check your lie angle. I would locate a fitter that uses one before I spend the money on a suspect evaluation. From your post I can tell you're not comfortable with what you got told. I myself would not get fitted off of mats because it doesn't show flaws that can be corrected with club adjustment like lie angle changes. When I did my Titleist Thursday, they didnt just say 2 degrees flat, we adjusted the test club to verify the info on TrackMan. Make sure you actually hit clubs that are set to their recommendations before you lock in. I have been fit for clubs about 3 times. Every time it was off the turf, Every time a lie board was used. It certainly reveals where the sole of your club connects with the ground which in turn tells you how flat or upright your swing is. 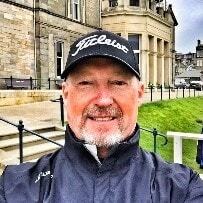 Mark T has some excellent points..Were they a certified Titleist fitter? Another way to test for lie angle is by drawing a line on the back of the golf ball, orient the line vertically and then hit the ball with face tape on the club. If the line on the face tape is perfectly straight up and down, then there is no need to change lie angle. . If the line is tilted out towards the toe of the club, your club is too upright and the lie angle needs to be flatter to get the line to vertical. Vice versa , if the sharpie line is tilted towards the heel your club, the lie angle is too flat and you would need to bend the club more upright. I was fortunate enough to be part of a group last summer that was flown to Oceanside, that are considered some of Titleist’s best fitters throughout the country. I believe out of the 25 fitters there were 3 that actually used a lie board. 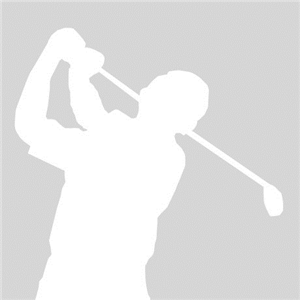 A good club fitter can fit your lie angle from the watching your swing and checking the pattern of your divot. I wouldn’t be too concerned if you weren’t put on a lie board, but wouldn’t hurt to double check if you’re not confident in the fitter you saw. I was fit about 3 or 4 times over the years in various golf stores and each time an impact board was used to determine lie angle. 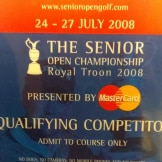 It was only when I want to the titleist fitting centre that none was used and I was just told that I was standard. I've no idea how he could tell this but it seems to be working fine for me.